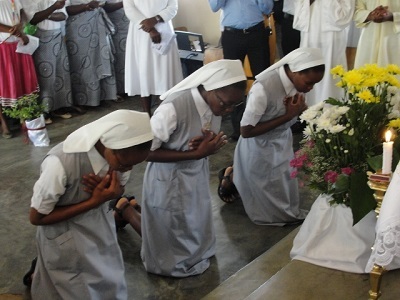 On January 24, 2015 Sisters Ana, Magarida and Deogracia made First Profession in Kikolo, Luanda. 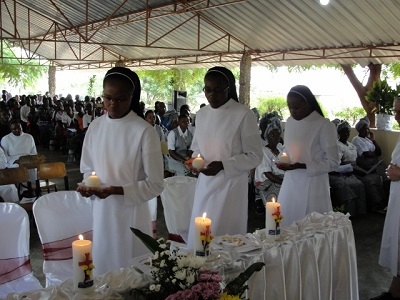 After the singing of the "Suscipe" the Sisters received a candle as a symbol to bring the light of Christ to the world. Congratulations Sisters! 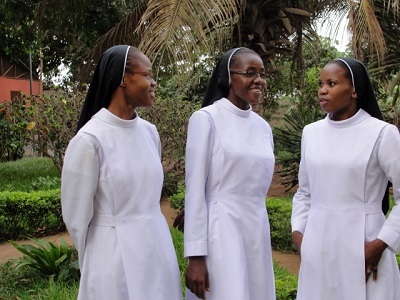 God Bless you and your journey as a Missionary Benedictine Sister!